For my card I used a little stamp from a Stampin'Up! set called 'for the birds'. I coloured with copics and used up some small snippets of paper. OK then, I'm off to continue with the 'big Christmas clean' so that I can do the tree later in the week! Gorgeous card Liz - love the design and cute image. This is gorgeous Liz, I love the CAS design and wonderful colours. I really like the little flags and the unexpected color scheme of your card today. Love your CAS card! I have been making a lot of kraft cards myself lately - I just love the look of kraft and red together. I especially like how you added the fishtail bits of paper anchored by the button - looks great! 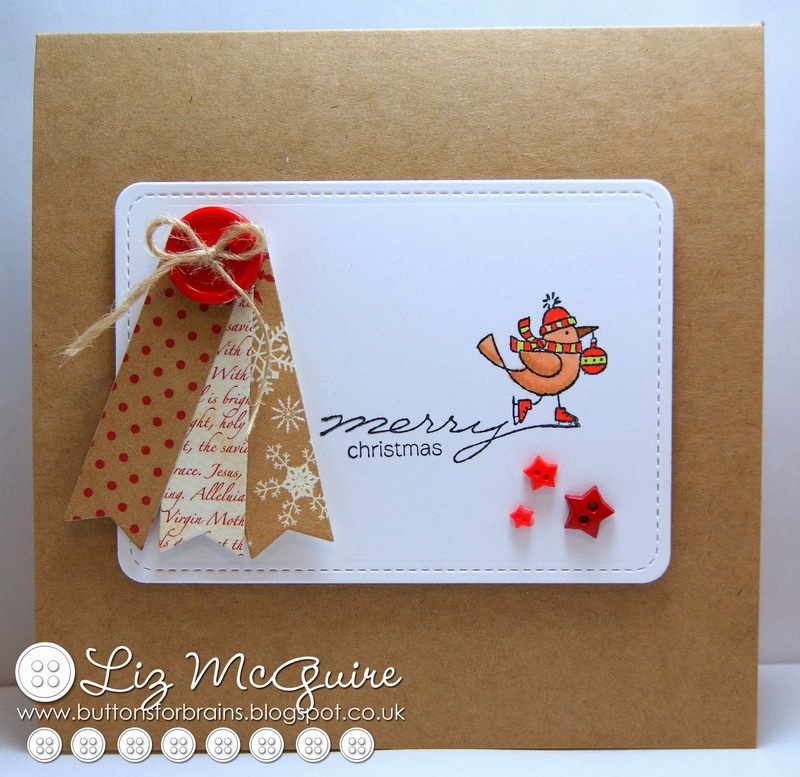 A lovely CAS birdie card and using up those pesky snippets of paper too. hugs Mrs A.